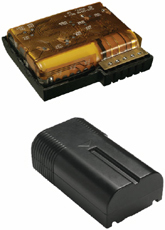 As a global leader, and one of the largest cell manufacturers in China, Gold Peak Industries offers complete custom battery pack and charging solutions for portable electronics and electric vehicles. They not only design and produce complete battery solutions; they also manufacture top quality cells. Gold Peak Industries provides customers the highest quality, and best performing power solutions for their applications.